Ashley is a Tuscaloosa native that graduated from Tuscaloosa County High School in 2005. 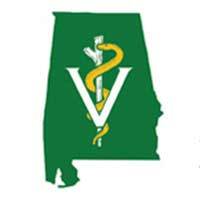 She then attended Shelton State Community College to obtain a degree in nursing. Shortly after, she realized she wanted to follow her heart and work in the veterinarian field. Ashley joined our team in 2011 and now has 11 years of experience. 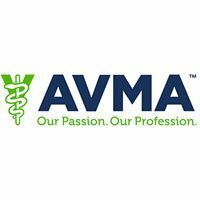 She has many responsibilities in the clinic: including, assisting the business manager and owner, making schedules for the staff, coordinating continuing education meetings for staff, employee training, managing the front office, managing inventory and many more! She is very dedicated to her career and is always looking for ways to improve client education and communication. 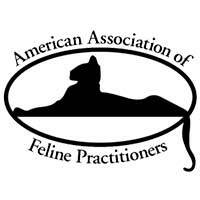 She is also a member of the American Association of Feline Practitioners. 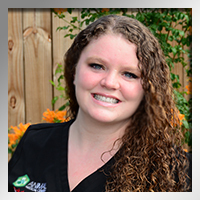 Ashley takes pride in both her job and developing personal relationships with clients and patients (rather than just a business relationship). In her spare time she enjoys spending time with her son Conner. She also enjoys traveling and photography. Joy joined our team in December 2013. Before joining our team she worked in retail management for 12 years. Her true passion is working with animals. Being around animals and their owners is a true blessing to her. She has a special love for bully breeds as well as large breed dogs. Her Great Dane, Zeus is a gentle giant. She has rescued many animals including; Athena, Samhain, and Luna. They are all wonderful, sweet pit bulls. Joy also has a bearded dragon, Anistasia. Her want to help animals is as strong now as it was 25 years ago. She has always wanted to being all strays home and give them the best home they could ever dream of having. 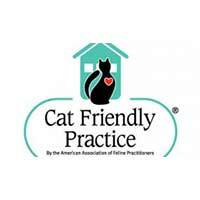 She looks forward to many years of meeting all the clients and their special furbabies. 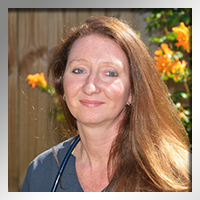 Teresa is a graduate of Snead State Community College where she earned her Associates in Applied Science with a specialized focus in Veterinary Technology; she became a licensed Veterinary Technician in 1996. 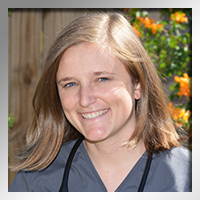 She worked for 12 years in Emergency and Critical Care Medicine before going to work for Veterinary Surgery of Birmingham in 2003; where she was a nurse anesthetist and surgical assistant for 2 Board Certified surgeons that specialized in orthopedic and soft tissue surgery. In 2007, she changed her focus and began working for a Board Certified Internist, where she became proficient in ultrasonography, chemotherapy treatment/protocols and various other disease processes and treatments. She now resides in Tuscaloosa with her husband and two years daughter. She looks forward to sharing her knowledge and skills with our team. She loves all animals, but has a huge soft spot for boxers. We are glad she has joined our team and know that she truly cares about all of our patients. Derek is originally from Fayette, Alabama, and is a 2006 graduate of Fayette County High School. He has an extensive background with electronics but his true love is kitties. 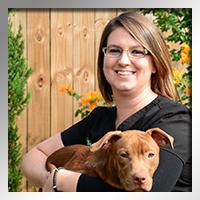 He joined the Animal Medical Center Family in the summer of 2011 and has been a valued addition. 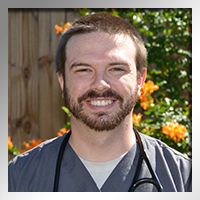 Derek genuinely enjoys getting to know the patients and, while he loves dogs, he is known as the "cat whisperer." In his spare time, Derek likes to hang out with his 2 cats Stan and Ollie.